Is there anyone in our reader audience that remembers these schools or perhaps has any photos of other schools in the Stillaguamish Valley? SVGS is working to preserve the history of our early schools. 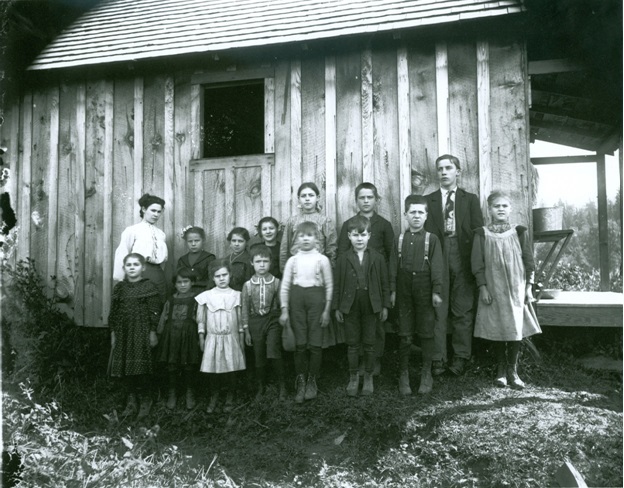 Our revised book of Early Stillaguamish Valley (Rural) Schools is now complete. We'd really enjoy any new photos or stories about our early schools, teachers or pupils! This month we have four mystery photos. Look closely. You can help us identify them! 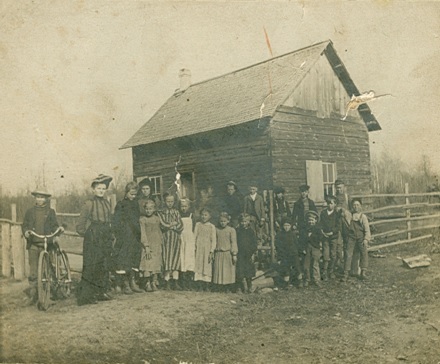 This is a photo of an early Stillaguamish Valley school and the children who attended it. Who do you know? Photo number 2. Who is the teacher and who are the grade-school age children? Photo number 4. Look carefully at this room. Did you or anyone you know attend school in this classroom? To sum up, we're looking for the names or ages of anyone in these four photos or the name of the school. We'll let you know when we identify them.